Suzuki xl7 great choice to your big family. 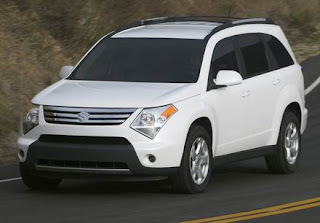 Enjoyed your family with Suzuki xl7.Suzuki XL7 is bigger, bolder and more powerful than the previous generation XL-7 and retains Suzuki's strong styling cues, while offering available all-wheel drive and available seating for seven. 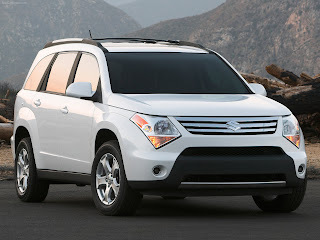 In creating the new XL7, Suzuki leveraged its SUV heritage and expertise to design a new vehicle for the segment of medium-sized crossover SUV that offers style, space and adaptability for active, mobile lifestyles. "The new XL7 was designed to blend SUV versatility and safety with increased driver and passenger comfort," said Koji Yamada, chief engineer, XL7. "The XL7 not only offers the cargo and seating flexibility for all aspects of the consumer's active lifestyle, but performance capabilities and safety features that give them the confidence to be in control." The new Suzuki XL7 evolves from a rear-wheel drive, truck chassis SUV into a crossover SUV based on GM's Theta platform with sophisticated full-length underbody rails for added strength. The XL7 is now a front-wheel drive vehicle with four-wheel independent suspension and available all-wheel drive. The standard transmission for the Suzuki XL7 is a GM-designed, Suzuki built 3.6-liter, DOHC V6 rated about 250 hp with 243 Nm of torque. 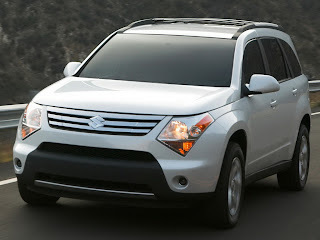 The XL7 3.6-liter, High Feature (HF) engine with variable valve timing will be built under license by Suzuki in Japan with Suzuki engine-building technology at the Sagara engine plant. The XL7 engine was developed as a joint effort between Suzuki and GM engineering and features unique Engine Control Unit (ECU) calibration. The use of the existing platform architecture accelerated the completion of the vehicle, which has been in development for three years. 3.6-liter six-cylinder, DOHC engine is mated to a five-speed automatic has a manual-shifting (manumatic) mode. Although the new engine is nearly one liter larger than the 2.7-liter engine used in the previous XL-7, the new, larger XL7 was designed to deliver fuel economy equal to or greater than its predecessor. EPA estimated fuel consumption of 18 mpg / city and 24 mpg / highway for front-wheel-drive variants and 17 mpg / city and 23 mpg / highway for all-wheel drive. Towing capacity is rated at 3,500 pounds. The sophisticated chassis offers agile, and car-like ride comfort and driving on the highway, city streets or rural roads. The XL7 responsive road manners communicate a sense of confidence and control in virtually every driving situation, while still providing refined noise, vibration and harshness (NVH) performance at or near the top of the midsize SUV category. 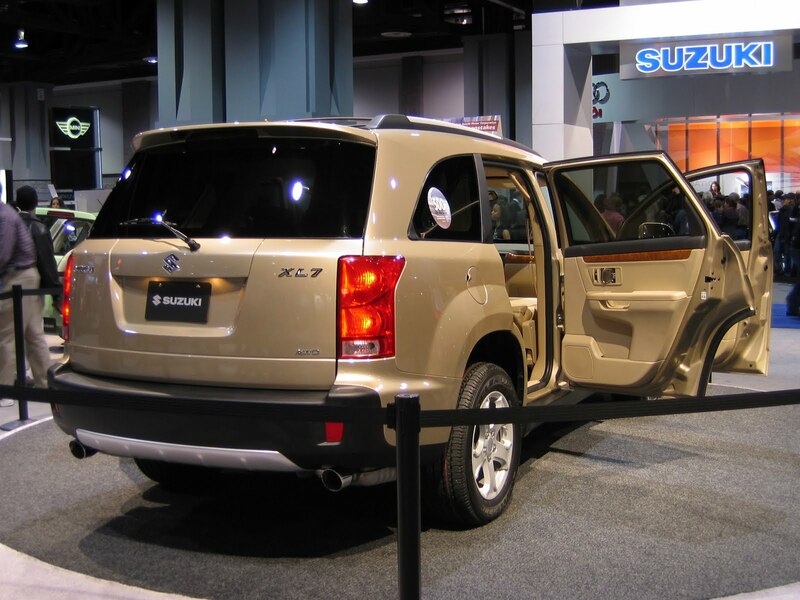 Suzuki XL7 is equipped with four-wheel independent suspension with MacPherson struts in front and multilink design in back. The independent rear suspension are fitted with hydraulic shock absorbers in the five-seat configuration and Nivomat self-leveling rear shock absorbers when configured for the seven available seats design. The small details add up to provide a car-like ride. The pillar of the MacPherson strut front suspension has been designed with long travel, and the design of the struts compensates for spring side loads. The bottom of the spring is anchored more outboard in the spring perch to relieve the bending load on the strut caused when the device was located further outboard to improve stability. The multilink rear suspension design features a trailing arm plus three additional locating links to allow a low load floor and maximum ample space for rear passengers. The back-end of the arm is a vertical design that provides flexibility in the twisting direction so the wheel can maintain camber as it moves vertically. The three locating links are designed to manage lateral loads and control the dynamic convergence of the rear wheel. 3.6-liter DOHC V6 is mounted in a double-isolated cradle system, the engine mounts the cradle at four points and the cradle mounts to the rails at four points, providing double isolation from the body. The cradle system features two side load-bearing supports, and front and rear torque reaction mounts. There is also a friction snubber mounted on the passenger side of the engine for movement of motor control at times experienced during the move. 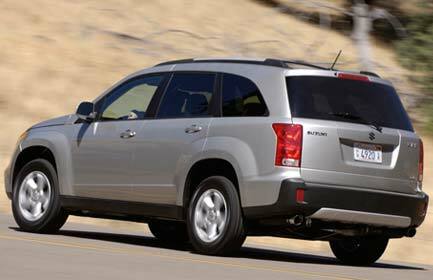 The available four-wheel drive system uses an active, electronic control module of the rear differential. The system responds immediately to all-wheel drive and effectively eliminates lag times of requests. Four mount cradle secures the rear drive module, which is subject to its own dedicated electronic controller. A new design propeller shaft fitted with upgraded universal joints handles the added torque. The fixed-rate rack and pinion steering is tuned for responsiveness and good atmosphere in the center. Turning diameter is relatively tight, needing only 41.8 feet for a sidewalk running and the steering wheel requires 2.7 turns lock-to-the-run operation. In addition, the steering column can be adjusted up and down (four degrees) to provide greater driver comfort. The new XL7 is fitted with a true dual exhaust system, constructed of durable, long lasting stainless steel. The system is designed for quiet, refined exhaust tones to achieve NVH "best in class" in terms of quietness and tonal quality. The exhaust system features two downpipes, two catalytic converters, central silencer, two silencers and two 3.5-inch diameter exhaust tips. 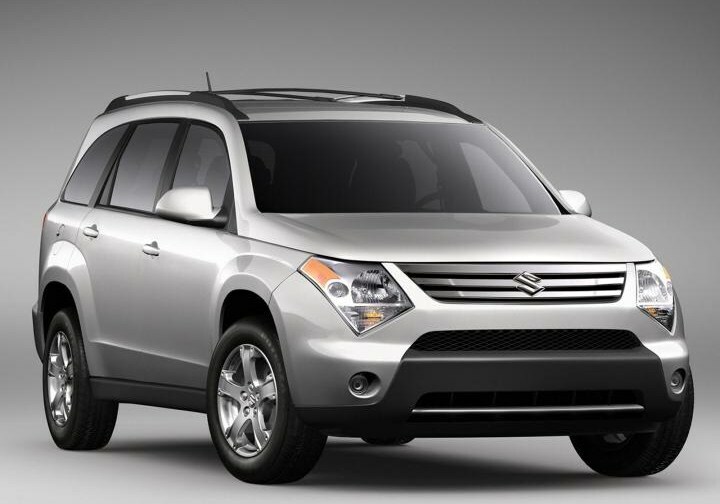 Evolved from the Suzuki Concept-X, which debuted at the 2005 North American International Auto Show in Detroit, the new XL7 features a modern design and elegant and expressive, with Suzuki styling cues, such as the triangle-shaped turn lamps, bold three bar grille with large Suzuki "S," muscular wheel arches, dual exhaust with chrome tips and integrated roof racks. 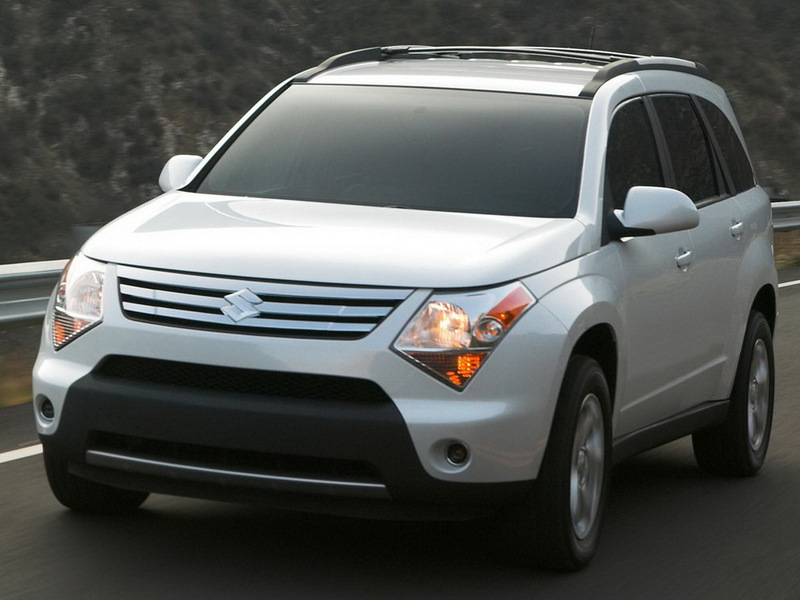 Suzuki XL7 offers the driver and passengers a spacious, functional interior that provides sophistication, luxury and refinement. The only seven-passenger third row offers real comfort and capacity. With its six-inch deep compartment, the elongated platform offers comfortable third-row seats, offering nearly 40 inches of legroom and 38.8 inches of headroom. In addition, the 50/50 split-folding third-row seats can be folded into the floor load additional local transportation, and the fold-flat front-passenger leaves room for long items such as skis, surfboards or even a small kayak. Besides the practicality of ample storage consoles and areas and the convenience of four 12-volt power outlets, the interior of the Suzuki XL7 2007 Luxury features wood or satin nickel applications on the dashboard and doors, chrome accents throughout and matte black, low-gloss surfaces. 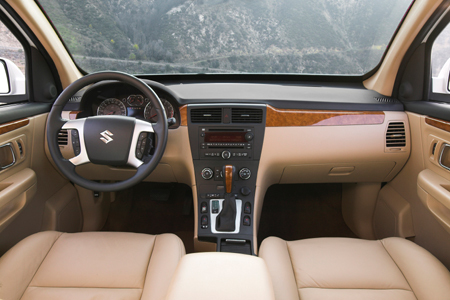 Leather seating surfaces and leather-wrapped steering wheel are also part of certain trim packages. The XL7 Safety features start with the structure of the body - a combination of computer designed high-strength steels, dual phase and galvanized. The body structure is computer-designed to manage loads - to effectively transfer energy absorbed during impacts around the interior compartment and occupants - both front and rear crashes. In addition, tipping is standard on both five seven seats XL7 vehicles. The technology uses sensors to proactively predict vehicle "tip over" on a flat road surface and applies brake force to the external front and rear wheels to reduce lateral force in the vehicle. The unibody construction is a high-strength steel structure, incorporating full-length side members and a safety cage welded half in a single device. It was also designed with front and rear crush zones designed to collapse in a controlled manner to help absorb crash energy while protecting the integrity of the passenger safety cage. The safety cage is reinforced with welded, tubular-section members that frame the door openings and support the members of the steel roof and doors. The combination of a single piece of door opening and door beam reinforcements help resist side-impact intrusion. The new Suzuki XL7 is fitted with driver and passenger front airbags and side curtain airbags. The XL7 also features a four-wheel anti-lock brakes (ABS) with electronic brake force distribution (EBD), Electronic Stability Program ® (ESP) (including traction control). In addition, the standard tire pressure monitoring system continuously monitors critical tire pressures. ESP is standard on all models XL7, offers a technically sophisticated safety net for the driver. The system uses a yaw sensor, lateral accelerometer and steering angle sensor to monitor vehicle stability and driver inputs. Working with the standard ABS with EBD and traction control system (TCS), the system can apply individual brakes selectively to control oversteer and understeer as needed to help the driver maintain control on slippery surfaces or when maneuvering emergency. Being able to control any or all of the brakes allows the ESP system to provide maximum responsiveness, control and enhanced accident avoidance capabilities, although ESP is not a substitute for safe driving practices. The TCS uses brake intervention and the engine torque to improve traction during launch and acceleration on all road surfaces. If the ABS system detects impending wheel slip, it signals the powertrain engine control unit (ECU) to adjust engine torque output accordingly. TCS also detects when one or more wheels spin faster than the speed of the vehicle and brake at that wheel or wheels. Working together, the two systems limit wheel spin and help maintain control and forward progress quickly and efficiently. Additional safety features include three-point seatbelts in all five or seven passenger seats, seat belt pretensioners, load limiters, front seat belt retractors, child lock system that meets Federal Motor Vehicle Safety Standard 225 required to five mph bumpers and low front bumpers for optimum safety in the event of a collision with a car. Currently, Luxury and Premium trim levels are planned. Both will be available with front-wheel drive or available all-wheel drive. Two Premium models will be available in a configuration with five seats and a third Premium model will be configured for seven passengers. 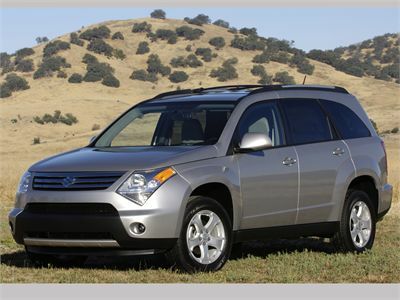 Premium models can be equipped with leather seating surfaces and sunroof. Two luxury trim level models will be offered. Both will offer seven seats and a rear-seat DVD entertainment system. One will offer standard front-wheel drive, while the other will be available with AWD. 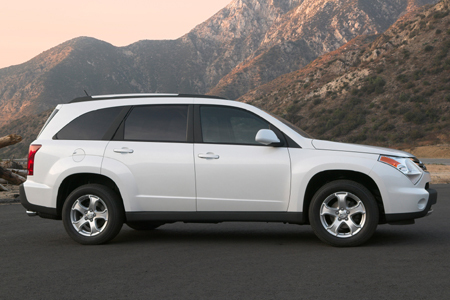 In addition, a navigation system and sunroof will be offered. The navigation system and DVD system can not be packaged together, so Luxury models equipped with navigation system you omit the DVD system. The Premium models feature 16-inch alloy wheels with P235/65R16 tires, while Luxury models are equipped with 17-inch wheels and tires P235/60R17 alloy. The 16-inch spare tire is carried in an outside-the-cabin underfloor area equipped with a lifting system. Current projections call for 50 percent sales of front-wheel-drive and 50 per cent of sales of all-wheel drive models. 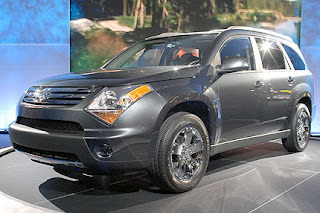 While prices will not be set until the vehicle goes on sale in the fourth quarter of 2006, the suggested retail price is expected to range from $ 23,000 to $ 29,000.